When you hire an attorney, you want to be able to have full confidence you have made the right decision. 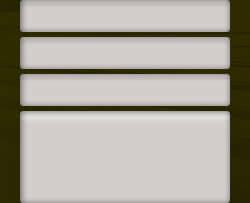 You want to know your lawyer will at all times be dedicated to your best interests, and that you have chosen an attorney who is fully prepared to handle the legal problems you face. Your choice of representation for a case of cattle fraud, cattle health issues or other legal issues could have a tremendous impact on the outcome of your case. 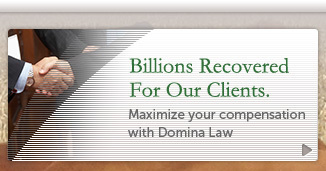 You can find compassionate guidance and hard-hitting legal advocacy at Domina Law Group. 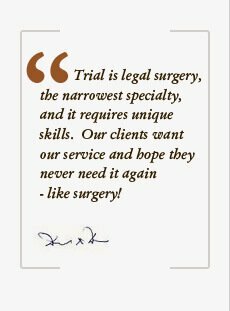 You can have trust in our ability to handle your case. 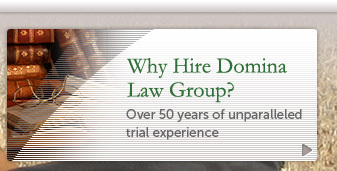 Our attorneys have more than 50 years of combined experience, and possess proven methods of success for clients. People hire us because they want serious leverage in negotiations with multi-billion dollar corporations and insurance companies who typically hold all of the cards and all of the power in the situation. 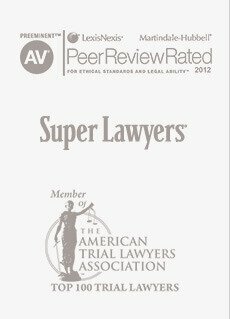 We take cases all the way to Appellate Courts and even to the Supreme Court to secure the best possible result for our client. Lead attorney David A. Domina has worked on hundreds of jury trials and has won multi-million dollar jury verdicts as well as a landmark victory of $1.26 billion for cattlemen against the nation's largest slaughterhouse. Our attorneys have extensive courtroom experience with judges and juries from all walks of life, all political persuasions and all moral and ethical persuasions. This experience comes into play in every case we represent, as we work to craft custom solutions for every client and draft all of our documents from scratch. Ours is not a cookie-cutter approach. We are trial lawyers, and this is what we live on a daily basis. We are not simply paper pushers; we thrive on toe-to-toe battles with opponents who are better funded, have more political connections, and who are used to getting their way by intimidation. The right to a trial by jury is one right which makes our country great, but without access to strong legal representation, individuals would have very little chance of success against large corporations. This is where we come in. We level the playing field and make it possible for you to pursue justice and fair treatment. 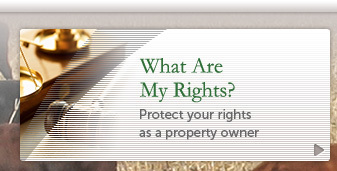 Contact us now for a free consultation with an attorney from our firm.